As we get closer to finishing and using our new home, these reviews will focus primarily on ALL THINGS we have used in this build and how we like them. If you have followed me, you'll truly understand when I say, "I want to make your journey to freedom easier for you than it has been for us." I believe product reviews lift the mask of uncertainty when I can see someone I know, trust and follow that can give me honest feedback on things I might be interested in. So here I am, doing the same for anyone that might be interested. But.. to get my feet wet in the reviewing world , I have chosen some skin care items that I am CRAZY about and wanted to share here. So, disclaimers are important, so here it is real quick. 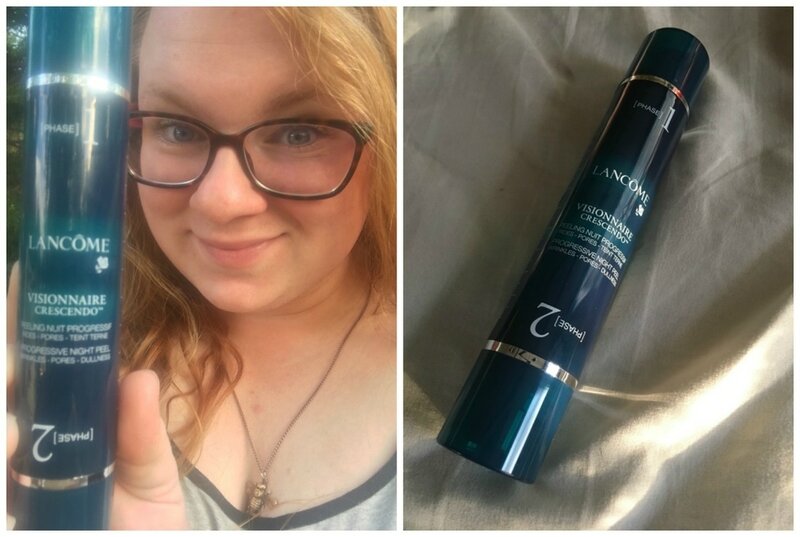 I received these products for free through a company called Influenster. I am signed up and I take surveys to qualify myself to received free skin care products for my reviews. However, I am one honest bird and nothing you find here will be anything sugar-coated or not of my own, personal opinions. Disclaimer to the disclaimer.... Most of the items after this will not be items that were given to me free unless I am asked to do so. I will make it know here when I am given items on a "free-per-review basis." So... onward... my trusty steed!! This is what is called a VoxBox with Influenster. 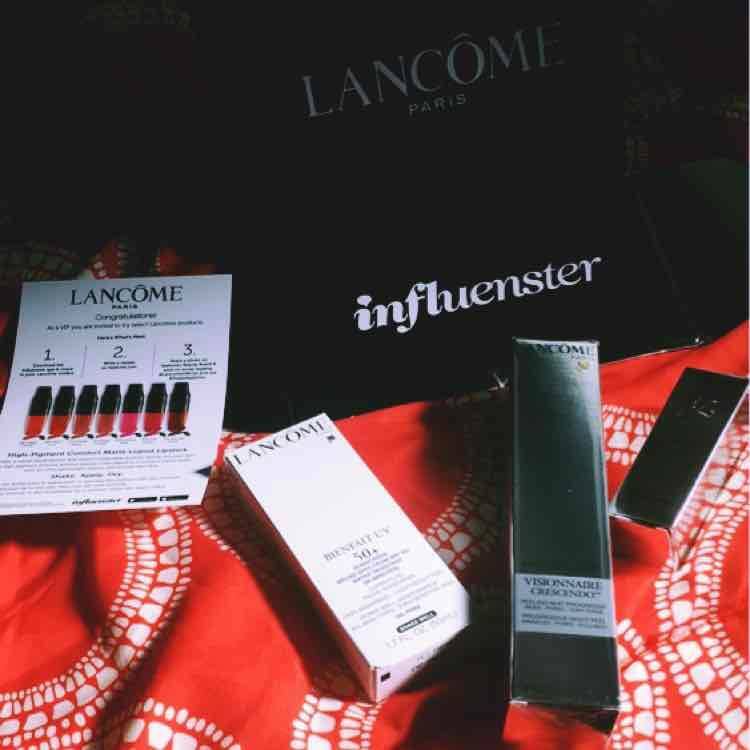 I got chosen for this one because my interests and profile of skin care was chosen and "matched" to the needs of Lancome Paris. Next, I'll break down the purposes of each product and my personal review of them. High-Pigment, Comfort Matte Liquid Lipstick. Finally, a matte liquid lipstick that wears comfortably without drying out your lips! A water-in-oil emulsion that's formulated with a patented Ultra Thin Film technology to deliver weightless texture and a second-skin feel without sacrificing intense color payoff. And it has Vitamin E for comfortable, non-drying wear.Its unique cushion sponge allows for maximum absorption of the formula to deliver a precise, soft application onto the lips, and buildable color that dries without smudging or transfer Just shake to soak the applicator with formula, apply the cushion directly onto lips to build the saturated color... then wait for it to dry down to a lightweight, comfort matte finish. I spend more of my money and time in the skin care department instead of perusing the makeup aisles. 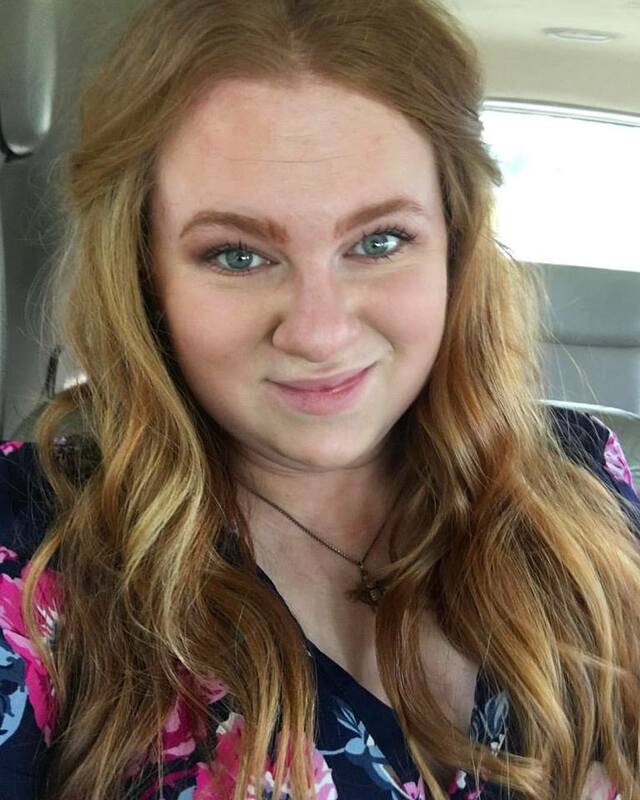 My husband, Houston, didn't like me wearing makeup when we were dating so I just went with the flow for the past 8 years and it just stuck! 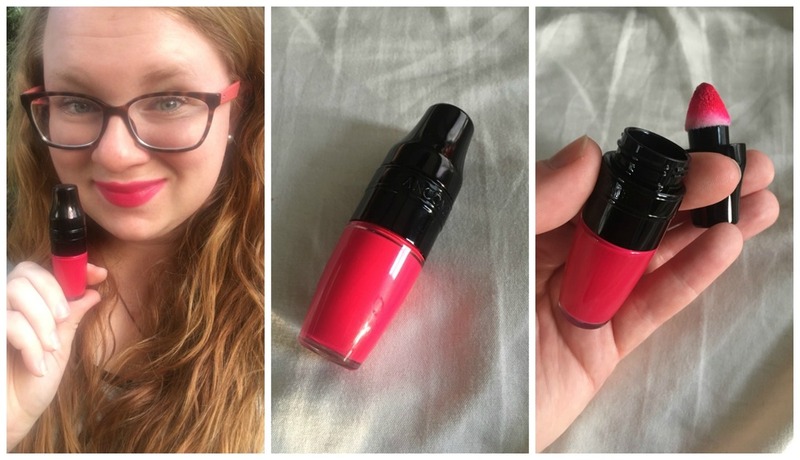 When I received this matte lipstick, I was interested in trying it out as I enjoy a pop of color every now and then and this seemed like a great way to do that. Boy was I impressed when I shook that little bottle and unscrewed what proved to be an innovative applicator. It is a little triangle looking sponge that is place over a small grate inside the bottle. Basically you shake it with the applicator in, the sponge soaks up the product and then you unscrew the cap and apply. Insert adorable and practical hashtag here.. #ShakeApplyDry "
This light-weight, oil-free broad spectrum sunscreen is fast-absorbing and a perfect choice to wear every day over your Lancôme moisturizer, under makeup or alone. All skin types, even sensitive skin.Oil-Free. Dermatologist-tested for safety. Recommended by the Skin Cancer Foundation. I am a self-proclaimed Sunscreen connoisseur and I find this sunscreen magical. A Unicorn, if you will? I have spent a fortune, collectively, on sunscreen but not on one single product and this might be the product that turns my love for a bargain deal on name brand sunscreen into a top shelf choice from the get go. I stay covered, mostly, while I am out in the sun or at the least try to stay under any shade I can find. I have had too many lobster red, fever inducing, sun poisoning sunburns to go around and I have set some boundaries for myself to help that not ever happen again!!! Sunscreen is one of those boundaries. This sunscreen is great for the face. In fact, I believe it is a facial sunscreen. It is 50+ SPF which is my go to SPF rating. I'll occasionally do 30+ on my arms and legs but that is about as low as I feel comfortable going. 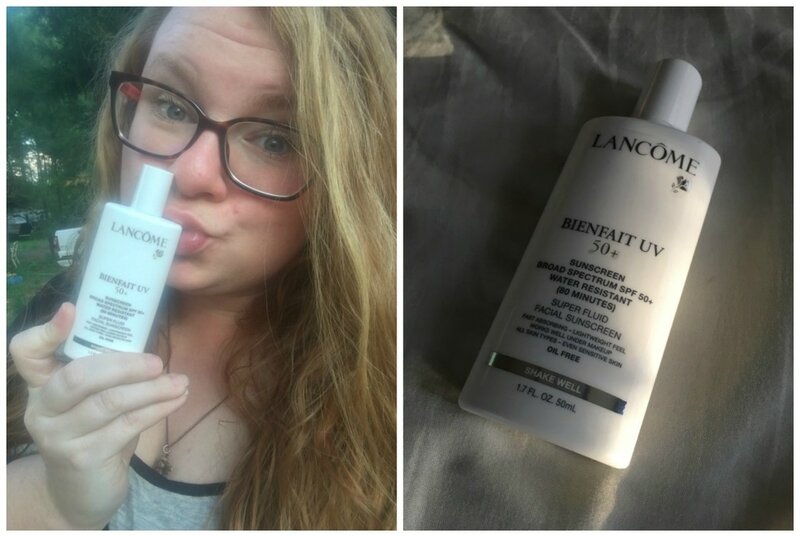 This Lancome Sunscreen is light weight and goes stunning under makeup. It has the scent of regular sunscreen and applies nice and thin. One thing that my combination oily skin friends will love is that it meshed well with the oils in my skin and didn't create a greasy mess across my forehead!!!! That is unicorn magic. I think it is always a given that sunscreen, on your face, is going to sit there and well....protect you from the sun. With this sunscreen, I feel like it penetrates my skin and protects me from the inside out instead of creating a yucky film of grease on my face. It acts like a moisturizer with the protection of a sunscreen and THAT IS A 5 STAR product in my book! Peel to reveal smooth, even, and radiant skin! This easy to use, leave-on liquid nighttime face peel works to gently exfoliate skin surface cells and address multiple skin concerns: uneven skin texture, appearance of pores, wrinkles and fine lines, and dark spots. Inspired by fitness interval training, Visionnaire Crescendo™ alternates between two different formulas each with their own unique ingredient combination to be used over a 28-night period as part of an interval skin training experience. Start with Phase 1 for the first 14 nights, formulated with 5% bio-acids such as fruit acids and quinoa husk extract that works to reduce the appearance of pores, improve skin's texture, and radiance. Then, switch to Phase 2 for the last 14 nights. Formulated with 10% derma-acids, including 0.5% salicylic acid and 9.5% pure glycolic acid, this phase reduces the appearance of fine lines, wrinkles, and dark spots. Repeat the 28-night skin interval training experience as desired. ​Visionnaire Crescendo™ leaves skin feeling smooth and appearing more even, which is ideal for seamless makeup application. ​"One Week: With being one week in I can already notice my skin is softer, firmer and my normal redness has evened a little. I love the smell of this night peel. It could be considered strong but I have fallen in love with the smell right before I go to bed. It is a soothing scent to me. This is my first peel and I can note it is going very well. My skin is sensitive, fair, redheaded skin and the peel does get a little tingly on my cheeks but calms down after a minute or so. It is not bad enough to where I wouldn't use the product again and can be soothed with a refreshing moisturizer over top of it. I think the concept of interval training is genius. Not only am I anxious to use and smell Phase 2 but the excitement of softer, firmer skin can only get better..right?!" I will continue to use nightly and will update this post in the middle, before I switch to Phase 2 and after I have completed the 28 days.. so check back here or on my Instagram @Dana.Mize to see more reviews! Dana Reviews... Is a place created to review all things in life. This is a place for my honest feedback on items, products, places, and everything in between.